Seems like the guys over at XDA-Developers have been doing some code-crunching magic again. 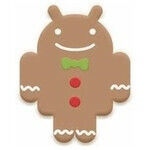 The latest to come out of their always-busy software workshops is an Android 2.3.3 Gingerbread ROM for Sprint's HTC EVO 4G. It was all possible thanks to leaked partitions from the official Gingerbread update for the smartphone, which the XDA community put together into a rooted, flashable ROM in no time. The unofficial Gingerbread update for the EVO 4G is available for download, and according to people who have already tried it out, it works seamlessly. That is great news considering that last time when we saw Android 2.3 running on the EVO 4G it was plagued by imperfections. Unfortunately, the Sense UI version appears to be the same old one like always, but we cross our fingers that HTC will treat us to an update in the official release. So, if you are ready to try the custom ROM out, check out the link that we have provided below and please, do not forget to backup. Or, if such tinkering is not something that you are fond of, you can always hope for the official update to start rolling out in the forthcoming months. Link to XDA-Developers forum with Android 2.3.3 leak: click here. Man the XDA guys are fast. Do they even sleep? I wonder what their schedule is like?